Semi-permanent makeup is here to stay. But what exactly is it? And more importantly, does it hurt? Here's what happened when I submitted to the needle. Semi-permanent make-up is having a moment. And why not. Micro-droplets of pigment nestled in between each lash to give the appearance of thick, fluttery lashes – it sounds good to me. And it lasts between 12 and 18 months, so one course of treatments and you’ll wake up each morning looking bright-eyed and ready to go. What’s not to like, eh? I went to the The Little Parlour in Weybridge for my treatments. 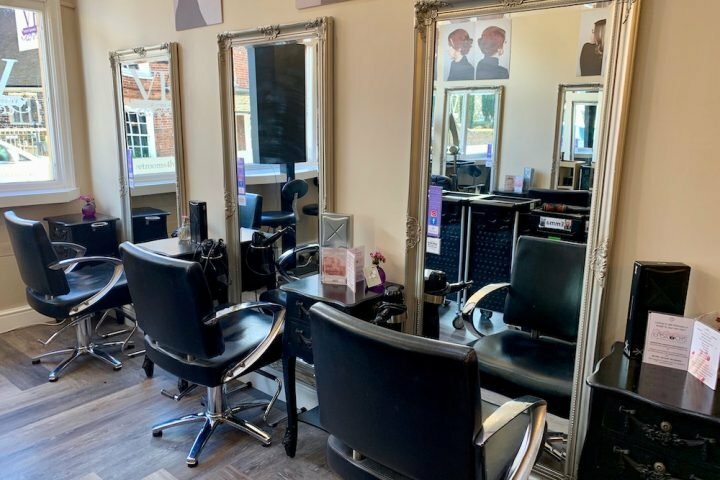 It’s a lovely intimate salon, just off the High Street in Weybridge, on the first floor above a gift shop on Baker Street. Parking is easy – the Churchfield Road car park is a 3 minute walk away – and there are some lovely cafes in the area for coffee after your treatment. 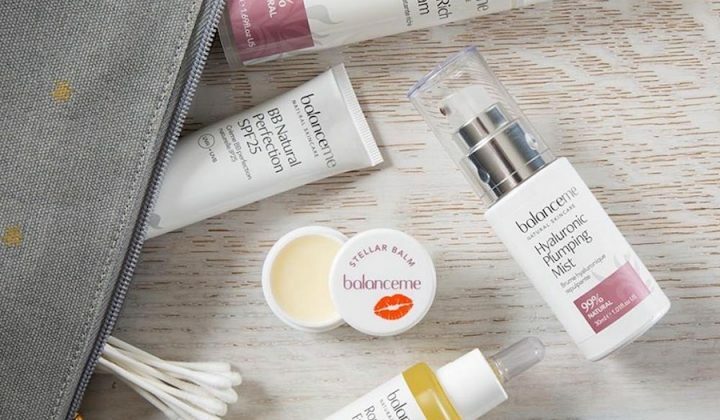 Naomi is uber-cool and confident when it comes to the application of semi-permanent make-up, which is just as well because she is literally sticking a needle pretty close to your eye – so you’re going to want to feel confident in your therapist. 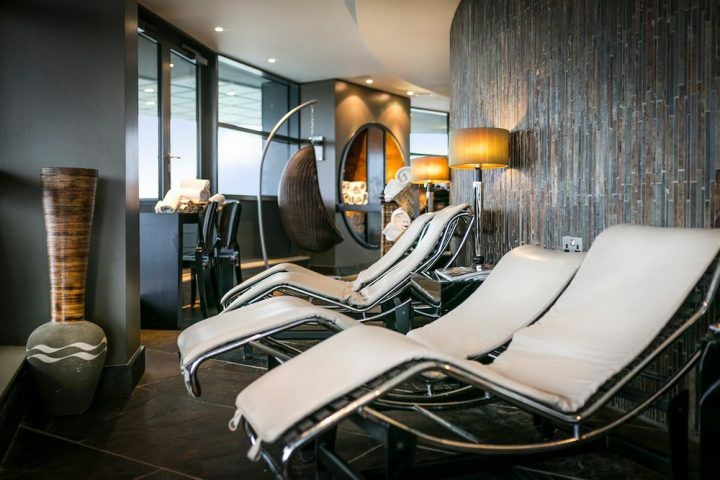 We met for an initial consultation – to chat through the possibilities and also to have a patch test – and I felt entirely comfortable and at ease. If I’m honest, I wasn’t 100% convinced by the treatment. What’s wrong with a daily application of kohl? Now though, I’m a total convert. And I say that as someone who’s a bit of a wimp (more on that later), and also as someone who doesn’t wear tonnes of makeup. Semi-permanent make-up – also called micropigmentation – involves applying coloured pigments into the dermal layer of skin. The eyebrows are the most common area to have done – Naomi does loads of them – but eyes and lips are also popular. And I’m told that Meghan Markle has made freckle tattoos at thing, too. 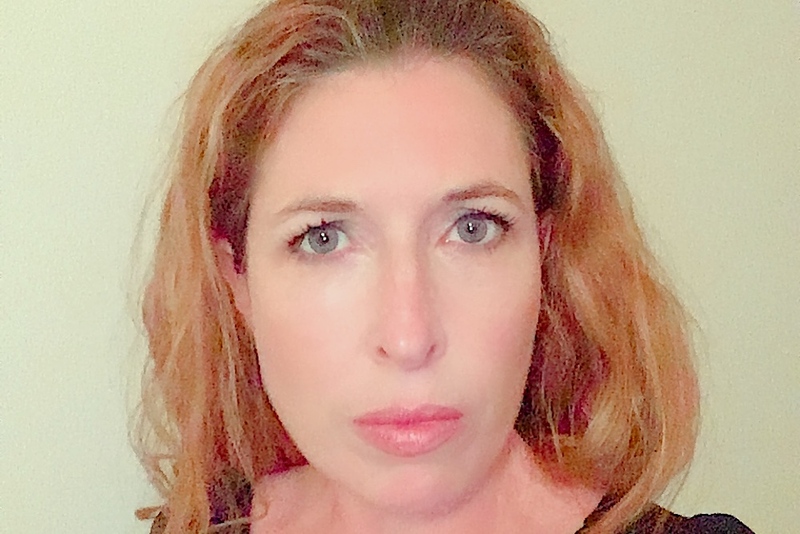 I have enough of my own freckles, but with eyes that seem to be receding further into my head with each passing year – I was keen to give them a more definition. Naomi explained the procedure to me. I’d need two, maybe three sessions, each of which would involve Naomi tattooing a fine black line along my top lash-line. The area is numbed first (which takes about 20 minutes), and then Naomi sets to work with her tattooing pen. It doesn’t hurt, but it’s not a comfortable procedure. It sounds like an electric toothbrush, and it feels a bit like someone is scratching along your inner eyelid, with some firm wipe-downs of the dye in between. The key is to try and stay as relaxed as possible, and Naomi will go a long way to helping you with this – she has a great bedside manner – but some deep breathing will also help. If you’re super sensitive and really squeamish, I’d probably suggest this isn’t the treatment for you. 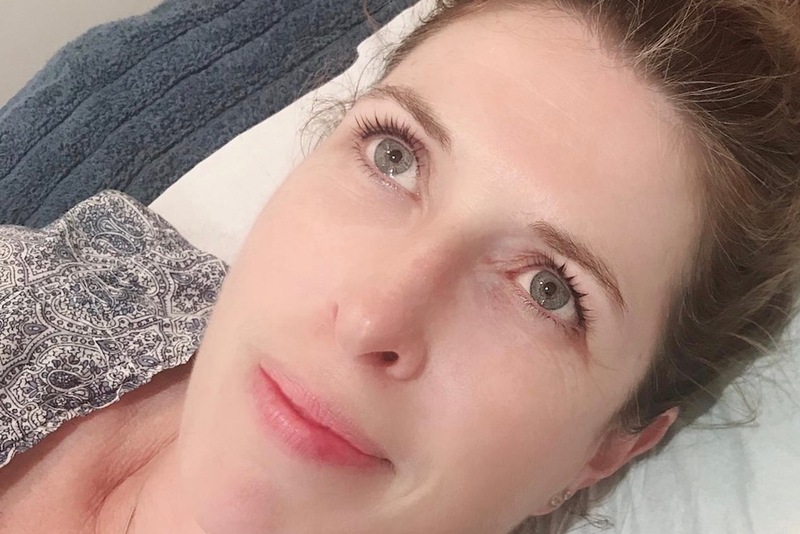 But then again, I managed okay – and while the thought of having needles stuck close to my eye didn’t bother me in the slightest, my eyes are a bit twitchy and sensitive so I have no doubt I wasn’t Naomi’s most straightforward client. 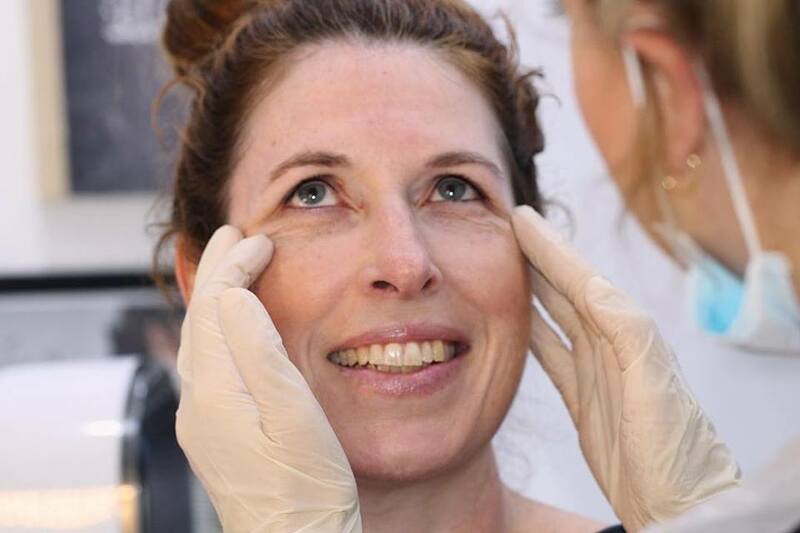 I had a course of three treatments, as my eyes got a little red and puffy during the treatments – but plenty of clients have just two. And some don’t bat an eyelid – as it were – at the treatment. For lil’ ole sensitive me, though, I just looked like I’d had a good cry afterwards, and my eyes felt a little scratchy for about 24 hours. Within a couple of days you’ll get scabbing, which sounds more dramatic than it actually is. In fact, you’ll barely be aware of it, except for a little dark flaking when you rub your eyes. About a month later, I returned for my second session. I was more prepared this time and more relaxed. It was the same again, with numbing cream, followed by scratching feeling. But I breathed more this time and I felt pretty proud of myself. Session three wasn’t as great. I had a bit of a head cold coming, and felt super sensitive. But it was over pretty quickly. So top tip: if you’re not feeling great, put it off. The best part though, was that I’d had a lash lift and tint the day before and the combination of both treatments was amazing. Every day I wake up looking bright-eyed and ready to go. I love it! And yes, I’d do it again. Most days I ditch the eyeliner and mascara completely. I’d recommend combining the semi-permanent make-up with the lash lift and tint. The two work together really well. Looks fantastic,thanks for doing the research!